Contrary to claims that Crystal Dynamics had canned development on the PS4 port, GameStop Italy has listed Rise of the Tomb Raider for release on Sony’s current-gen system on October 11. First spotted by the folks over at NeoGAF, the listing has now been taken offline, but you can find a screengrab below that also indicates the PlayStation 4 version will come tethered with a full, $60 price tag. What’s interesting is that, despite Crystal rolling out numerous DLC packs for the action-adventure sequel, there’s no mention of whether Rise of the Tomb Raider will launch a comprehensive Game of the Year edition for those on PS4. For reference, those add-ons included both Baba Yaga: The Temple of the Witch and the supernatural frightfest, Cold Darkness Awakened. Neither Crystal Dynamics nor publisher Square Enix released an official statement on the matter, so chalk this up as a rumor for now. 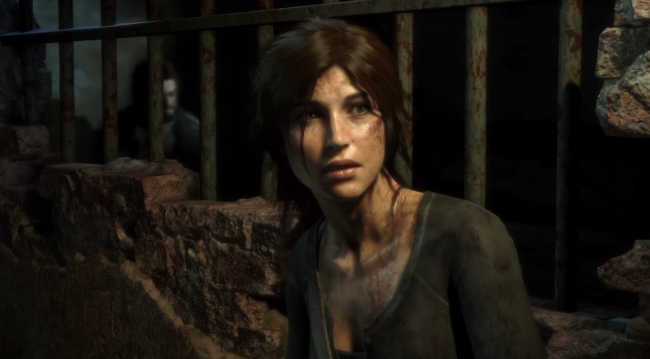 We’ll be keeping tabs of Rise of the Tomb Raider‘s journey to PS4 either way, so stay tuned for more. One year on from its debut across Xbox One, followed up by a PC port in January of this year, Rise of the Tomb Raider will purportedly arrive on PlayStation 4 on October 11, 2016.